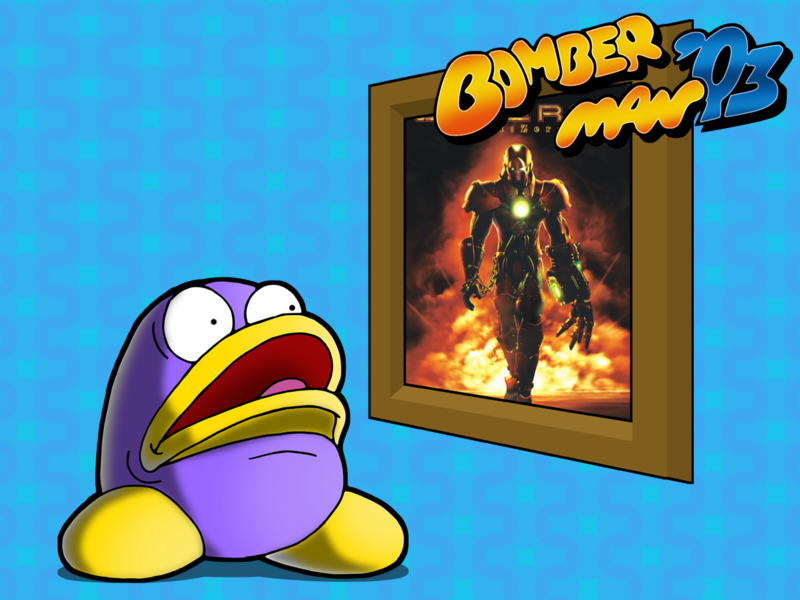 Bomberman '93 is one of the classic Bomberman titles, originally released for the Turbografx-16 in 1993 and re-released on Wii Virtual Console. 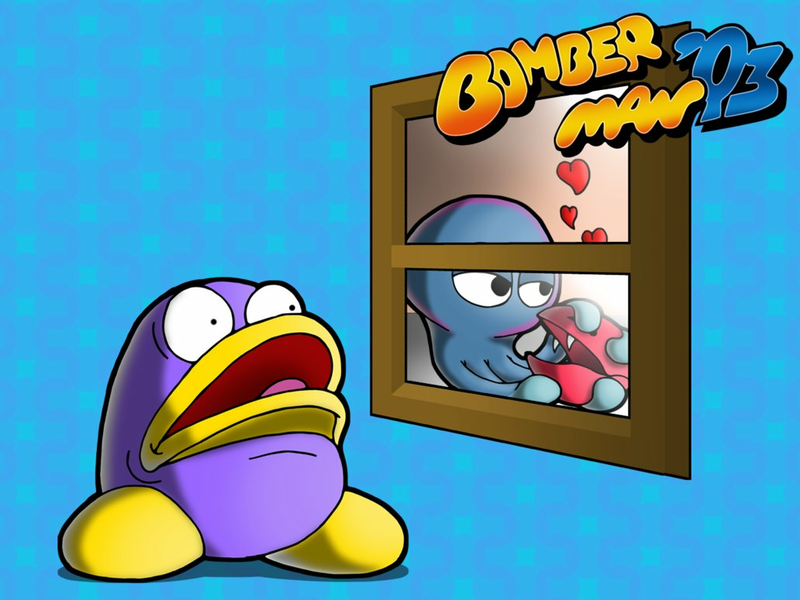 Move in all cardinal directions, drop bombs to blow up bricks and monsters, and ultimately blow yourself up or walk into an angry floating ball thing. 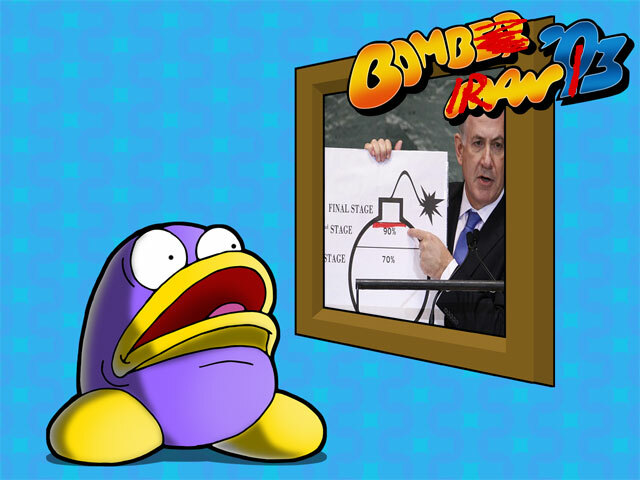 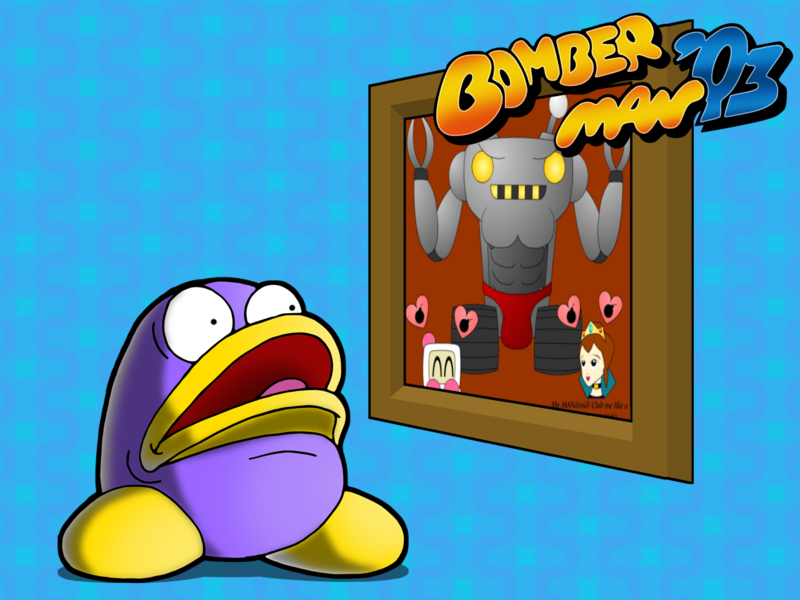 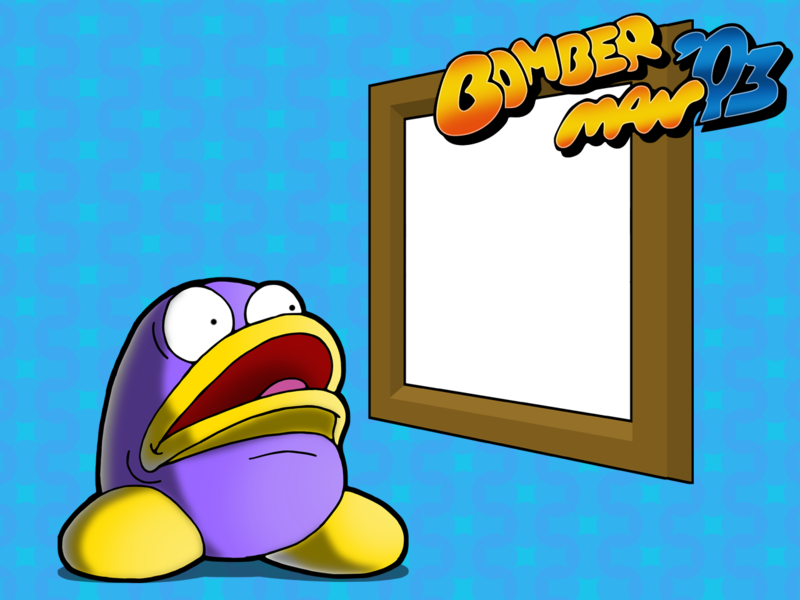 Bomberman's evil twin brother, Black Bomber, has attacked a city and stolen its seven power circuits. 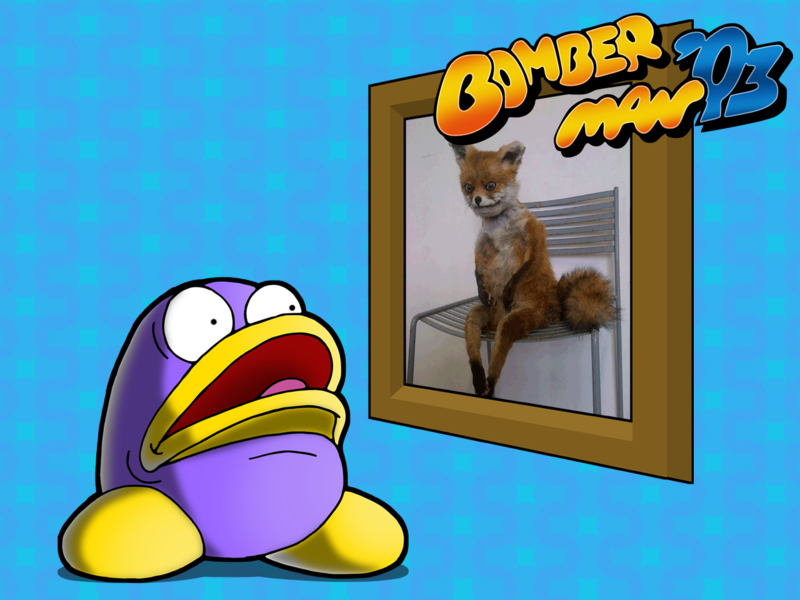 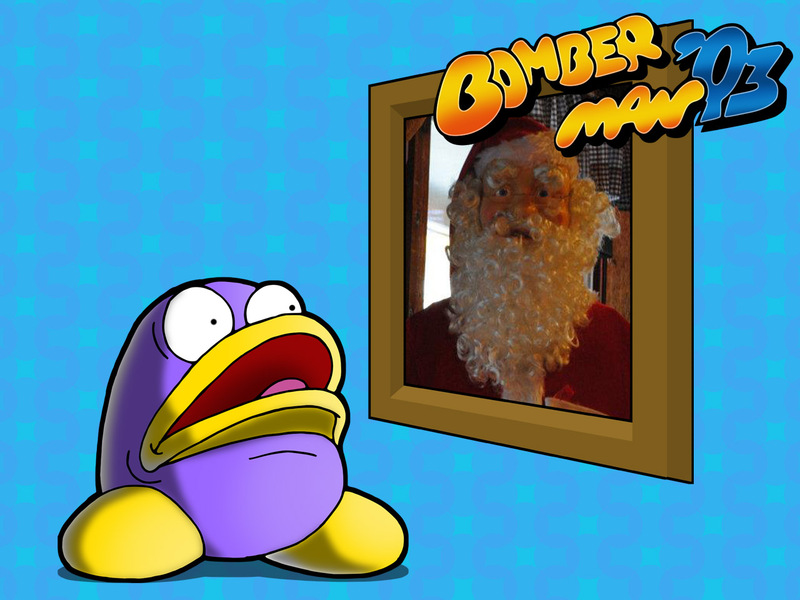 Black Bomber scatters the circuits across seven planets, and Bomberman must brave the baffling locals and wildlife to find them and bring Black Bomber to justice.